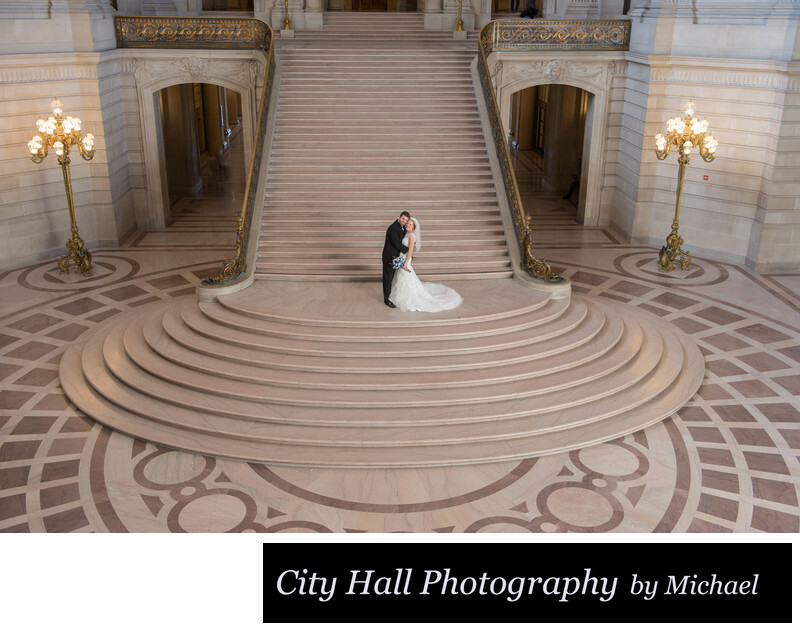 San Francisco city hall turns out to be a good wedding venue for the use of Wide Angle lenses. Why? Because the architecture is so impressive, you just have to show it off in your wedding pictures. We encourage our brides and grooms to pose in areas where the background really is prevalent. Although that will occasionally result in a photo like the one above where the couple appears pretty small in the overall scene. But our client loved this photo to put along with the large number of close up shots we also took of them. Please note the amazing floor design that really stands out in this image looking down at the couple. This is why we use this particular image at San Francisco City Hall.